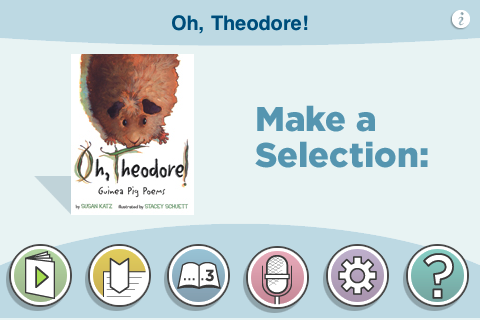 Come meet Theodore: a plump, fuzzy guinea pig with a big appetite, a lot to say, and a personality all his own. 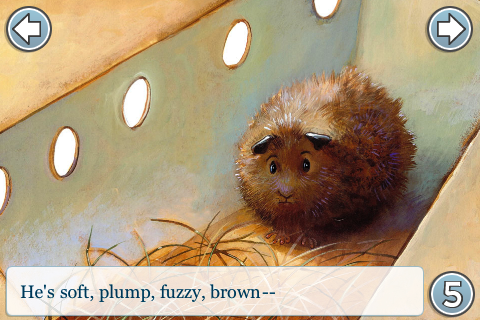 As you, and his new owner, get to know him, you'll find out what he eats and how he speaks. You'll also discover the work involved in caring for a pet: feeding, cleaning, and taking him out for exercise. But it hardly seems like work once your pet becomes your best friend. 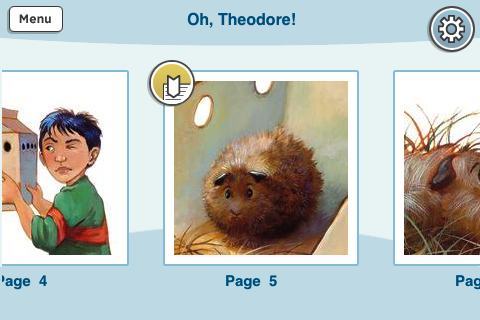 With the popularity of guinea pigs as family and classroom pets, Theodore's antics are sure to ring true to many readers. And for those who haven't had a guinea pig of their own, these short, funny, and accessible poems will create a vivid first impression. 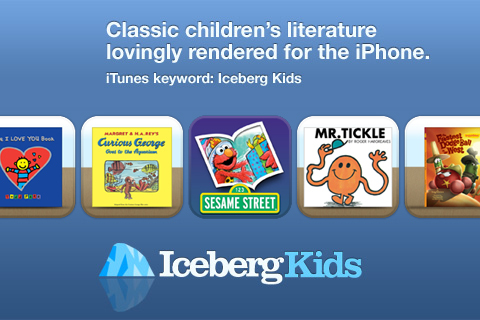 Iceberg Kids revolutionizes the children’s book experience, bringing the magic and wonder of reading to an exciting new digital space. The perfect answer to bedtime, long car rides or learning to read. Progressive Page Flow: Move along each illustration in tandem with the story, transforming big stories for small screens. Image Exploration: Pinch & Zoom your way through close up explorations of crisp, clear images that leap off the screen. Visual Table of Contents: Jump easily back and forth to your favorite part of the story, or resume reading where you left off. 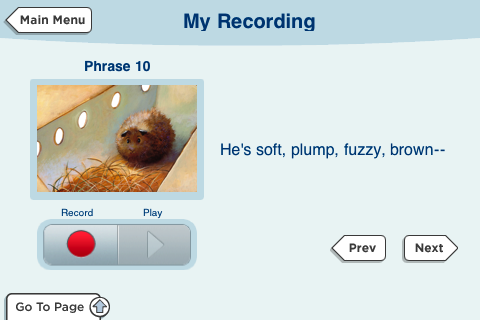 Auto Read: Tap the audio button to hear the story read aloud – or record in your own voice. Create a great digital legacy for a child or grandchild. Boston-based Houghton Mifflin Harcourt Publishing Company is a global education leader and the world's largest publisher of educational materials for pre-K–12 schools. The Company publishes a comprehensive set of best-in-class educational solutions, ranging from research-based textbook programs to instructional technology to standards-based assessments for students and educators. The Company also publishes an extensive line of reference works and award-winning literature for adults and young readers. With origins dating back to 1832, Houghton Mifflin Harcourt combines its tradition of excellence with a commitment to innovation. To learn more about Houghton Mifflin Harcourt, visit www.hmhpub.com. ScrollMotion, creator of the Iceberg Reader, is a content technology company based in downtown New York City. Our proprietary technology is reshaping how people experience digital information and entertainment, and ScrollMotion is also helping many of the greatest names in traditional media tap the vast potential of the mobile space. For more information, visit www.scrollmotion.com. If you have any technical problems please email us at icebergsupport@scrollmotion.com before you post a review.